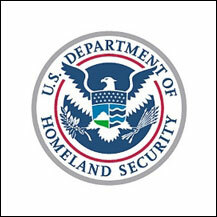 Homeland security is rapidly putting the University of Colorado at Colorado Springs on the map. On Aug. 7, UCCS announced a new partnership with the Republic of Croatia's University of Zagreb. The universities will work with the City of Zagreb to create an Eastern Europe Center of Excellence in Homeland Security. "This partnership is a natural outgrowth of the development of UCCS as a world leader in homeland security issues," said Mike Perini, executive director of the southern Colorado campus's National Institute of Science, Space and Security Centers. Perini said the partnership is an extension of the institute's Center for Homeland Security. Zagreb officials turned to UCCS after the campus sponsored a series of seminars on trans-Atlantic civil security at Germany's George C. Marshall European Centre for Security Studies last July and earlier this year. They wanted UCCS to create a similar program for Croatia. Under the agreement, UCCS will develop several courses in homeland security and assist the University of Zagreb in establishing a regional center of excellence in homeland security. Over the long run, UCCS will also help the university mature the center and develop graduate degree programs.